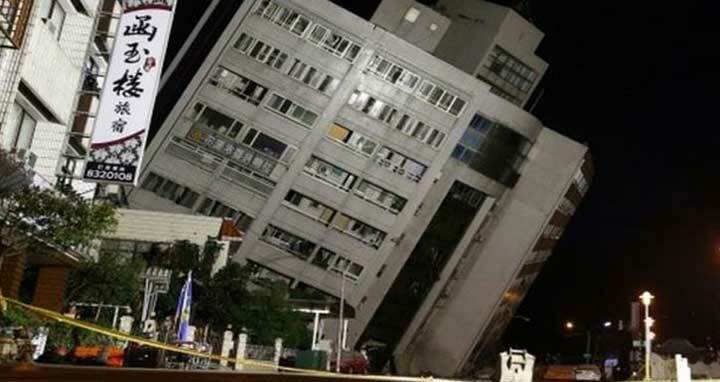 Dhaka, 7 Feb, Abnews: A 6.4-magnitude quake on the east coast of Taiwan has left four people dead and 219 injured, the government said, after buildings crumbled and trapped people inside. About 150 still remain missing, according to the government, with many believed to be still trapped inside buildings. Hualien, an area popular with tourists, is home to about 100,000 people. Its streets were buckled by the force of the quake, with around 40,000 homes left without water and more than 600 without power. A maintenance worker who was rescued after being trapped in the Marshal Hotel's basement said the force of the earthquake was unusual. "At first it wasn't that big ... we get this sort of thing all the time and it's really nothing. But then it got really terrifying," Chen Ming-hui told CNA after he was reunited with his son and grandson. "It was really scary."